Pop the popcorn, I’m heading to the Bijou ASAP. Then this summer I’m heading to Virginia for a Civil War Battlefield tourist. 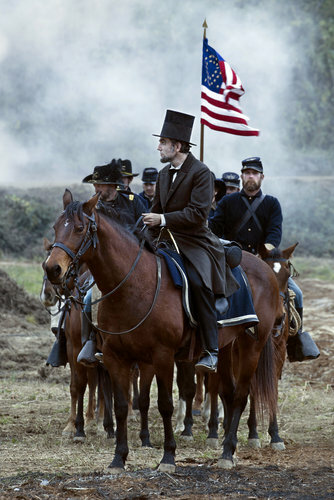 But instead of spoiling the plot of the movie (history is so hard to scoop) this space will be reserved to making a plea for the hard working folks at The Civil War Trust [www.civilwar.org] who are looking for history minded angels to collect $46,198 to purchase 175 acres of Americana. The historic lands in question are around two key Appomattox County, Virginia Civil War battlefields. One parcel, a 45-acre property, is significant as the scene of the last fighting in the East. It is the ground over which Confederate General Martin Gary’s 7th South Carolina Cavalry charged and, when repulsed, were pursued back across it by General George A. Custer’s cavalry division. It is also the area where Custer received the first Confederate truce flag. Seventy-two hours before Appomattox, nearly one fourth of Lee’s army was cut off and captured at the Battle of Sailor’s Creek, and the 130 acres being saving there would be the first land saved that tell the key “Marshall’s Crossroads” part of the story of this battle. Donors who give $100 or more will have their names added to a permanent display that will stand on the ground the Civil War Trust is saving at Appomattox. For a $36 donation you will receive a 2013 Civil War Trust Calendar. SAILOR’S CREEK: On April 6, cavalry under Phil Sheridan effectively cut off three corps of Lee's army, near Marshall's Crossroads while the Union Second and Sixth Corps approached from the east. In three distinct engagements, the Federals overwhelmed the defending Confederates, capturing 7,700 men and depriving Lee of roughly one-fourth of his army. Among the prisoners were six Confederate generals including Richard S. Ewell, Joseph Kershaw, and Custis Lee, the commanding general's son. To President Jefferson Davis, Lee wrote, "a few more Sailor's Creeks and it will all be over." Lee surrendered three days later. 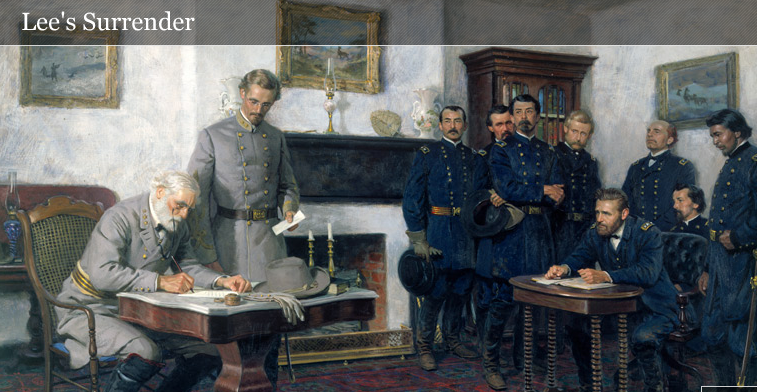 APPOMATTOX: Harried mercilessly by Federal troops and continually cut off from turning south, Gen. Robert E. Lee headed west, eventually arriving in Appomattox County on April 8. Heading for the South Side Railroad at Appomattox Station, where food supplies awaited, the Confederates were cut off once again and nearly surrounded by Union troops near the small village of Appomattox Court House. Despite a final desperate attempt to escape, Lee’s army was trapped. General Lee surrendered his remaining troops to General Grant at the McLean House on the afternoon of April 9, 1865.